The Memorial Candle Program has been designed to help offset the costs associated with the hosting this Tribute Website in perpetuity. Through the lighting of a memorial candle, your thoughtful gesture will be recorded in the Book of Memories and the proceeds will go directly towards helping ensure that the family and friends of Phyllis Harper can continue to memorialize, re-visit, interact with each other and enhance this tribute for future generations. Phyllis Irene Harper, 78, of Solsberry passed away Wednesday, August 01, 2018 at IU Health Hospice House. Born, December 9, 1939 in Bloomington, she was the daughter of the late Merle and Mildred (Haley) Mobley. Phyllis was the Owner/Proprietor of Harper’s Tax Service for over 30 years and she was a longtime member of Grace Baptist Temple. 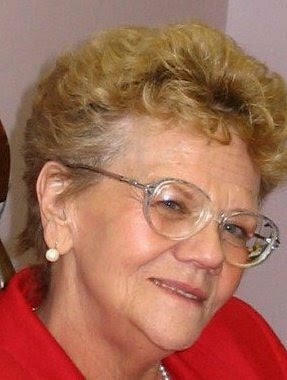 She was a loving wife, mother, and grandmother who enjoyed spending time with her family. Survivors include her children, Melodie Mercurio (Joe) of Solsberry, James Harrison Harper Jr. (Renee) of Bloomfield, Harmonie Roth (Larry) of Spencer, Cinthanie Stone (Mike) of Judah, and Kimberlie Ray of Solsberry, grandchildren, James Curtis Harper, Krissey Strahle, Joseph Mercurio III, Brittany Greene, Lee Ryan Morgan, Tiffani Beyers, and Chelsee Ray, several great-grandchildren, sister, Shirley Johnson-Stangas of Bloomington, and sister-in-law, Shirley Willis (Kenny) of Judah. Phyllis was preceded in death by her husband of 56 years, James Harrison Harper. Visitation will be 12-2pm Friday, August 3, 2018 at The Funeral Chapel of Powell and Deckard, 3000 E. Third St. in Bloomington. Funeral services will be 2:00pm Friday at The Funeral Chapel with Pastor Jose Esquibel officiating. Memorial contributions may be made to IU Health Hospice House.